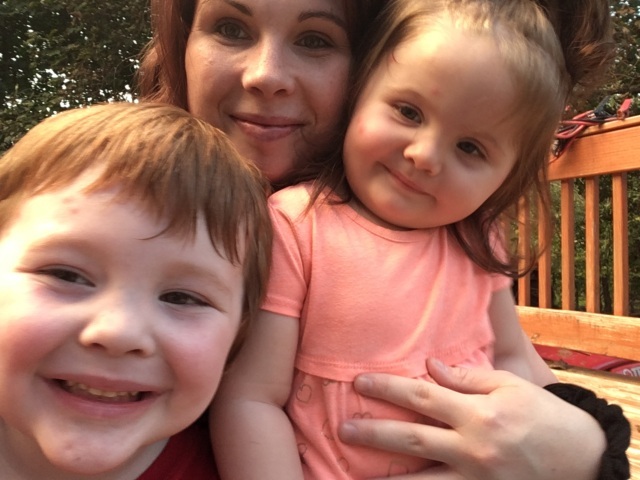 Wife, mom, and blogger Jennifer (Jenn) Dunlap has a passion for writing. On her blog Housewife Hustle, she writes about everything from being a mom to style. She also occasionally lightly weaves in stories about her journey with Retinitis Pigmentosa (RP). Diagnosed with RP as a youngster Jenn is no stranger to the disability community. She has done a lot of public speaking and participated in disability panels during her college years. Stay tuned for her Women On The Move post which will be published on October 16. 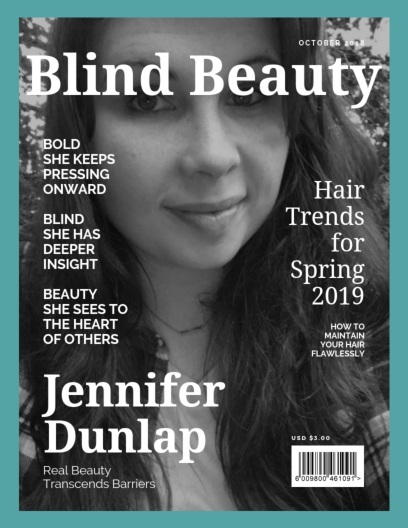 Featured image is the new faux fashion magazine cover titled Blind Beauty. Jenn’s close-up image on the cover is black & white. The softly smiling brunette beauty is wearing a tee under a plaid shirt.